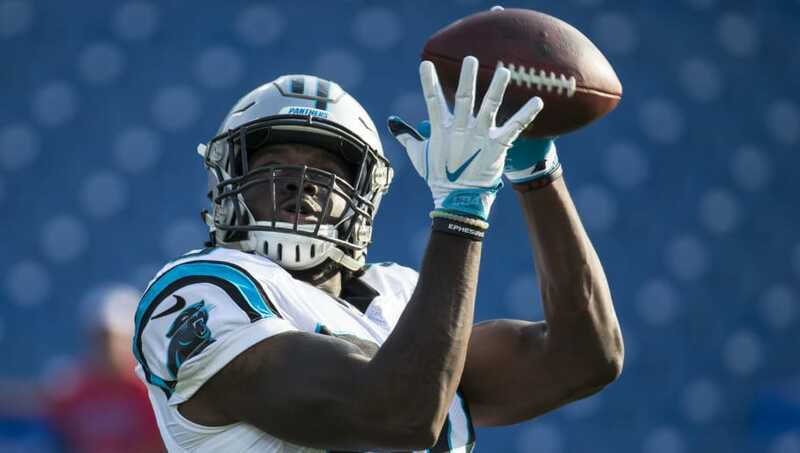 Carolina Panthers tight end Ian Thomas will be a popular waiver wire target in fantasy football this week as he goes up against the Cleveland Browns on Sunday. With the season-ending injury to Greg Olsen, Thomas will be shouldering the load at the tight end position moving forward. Thomas was fantasy relevant earlier this season when Olsen missed time in Weeks 2-5 with a mixed bag of results -- 8 catches on 14 targets for 68 yards. And just last week, Thomas caught all five of his targets for 46 yards in the team's Week 13 loss to the Tampa Bay Buccaneers. The matchup against the Browns this week is one of the better ones in the NFL for tight ends. In fact, no other team has allowed more receptions (6.3) or targets (9.3) to the tight end position this season, which has translated to Cleveland allowing the seventh most FanDuel fantasy points to tight ends. Olsen could very well be calling it quits after the season, and that'll leave a huge hole in this Panthers' offense at tight end -- a hole that Thomas should fill. The job is his to take, making Thomas a very dangerous man down the stretch in the fantasy football playoffs. Expect him to prove himself as an asset to both the Panthers and your fantasy team over the final four weeks of the season.